Home Opinion Press Releases New Secretary General vows to tackle pressing issues facing Africa. New Secretary General vows to tackle pressing issues facing Africa. The new Secretary General of the world’s biggest human rights organization, Kumi Naidoo, has pledged to strengthen Amnesty International’s work in order to tackle the most pressing issues facing the continent. The new Secretary General made this pledge when he met with human rights activists from across Southern Africa in Johannesburg today, to hear first-hand about their struggles. 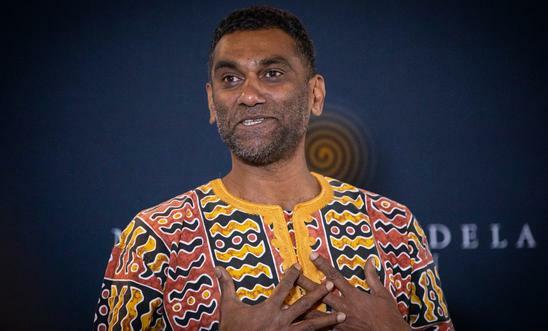 “Today I met brave and courageous human rights defenders from across Southern Africa who are risking their lives every day by demanding justice, accountability and equality,” said Kumi Naidoo. Kumi restated Amnesty International’s unwavering commitment to campaign for Itai Dzamara and accountability for his enforced disappearance. His first act as Secretary General was to sign a letter to the future leader of Zimbabwe about Itai’s case.He also underscored the need to protect press freedom across the continent. “President Trump’s persistent attacks on the media is emboldening some of our leaders in Africa to say, well if he is doing it, we can do it. So we have to be very vigilant about attacks on the media from people who are emboldened by what is coming out of the White House,” said Kumi Naidoo. Activists from across the Southern Africa region, from the Democratic Republic of Congo (DRC) to Lesotho, gathered in Johannesburg to share moving accounts of their search for freedom and justice on issues as diverse as protection of the rights to people living with albinism to freedom of expression, protecting the environment, fighting corruption and upholding independence of the judiciary. The activists included a health worker, a mechanical engineer, a judge, a rapper, journalists and campaigners. All of them shared similar stories of courage, resilience and how much the campaigning and actions taken by Amnesty International supporters meant to them personally. “The moment freedom of expression is taken away from me, that’s the moment my life is taken from me. I keep going because of the support of other people who have spoken out for me. I need their solidarity as an artist to continue doing what I do,” said Fumba Chumba, also known as Pilato, a musician and activist from Zambia who is being targeted for using his music which highlights corruption in his country. Many of the activists shared stories of the great personal cost of their struggles, including Nohle Mbuthuma, a campaigner from Pondoland, South Africa, who is fighting against the exploitation of her community’s territory by an Australian mining company, Mineral Commodities Limited. “We live in a peaceful, beautiful area where we share everything – food, land and love. The elites have discovered what we have, and want to take it away from us. We organized together to stand up to the mining company and the corrupt government who supports them. That is how we acquired a death certificate so easily – some of my colleagues have been killed, and I know I could be too. But I am not scared,” she said. In one of the most moving accounts, the wife of disappeared Zimbabwean journalist Itai Dzamara, Sheffra, told of her painful search to find out what happened to her husband, who was disappeared in 2015. Activists present at the meeting include: Nohle Mbuthuma, an environmental and human rights campaigner from Pondoland, South Africa; Keiso Mohloboli, an investigative journalist from Lesotho; Fumba Chamba, also known as Pilato, a musician from Zambia; Jestina Mukoko, the national director of Zimbabwe Peace Project, from Zimbabwe; Judge Mbuyi Lucaso Jacques, a High Court Judge from the Democratic Republic of Congo; Clovis Razafimalala, an environmental and human rights campaigner and mechanic from Madagascar; Sheffra Dzamara, a Zimbabwean human rights defender and wife of Itai Dzamara; and Grace Massah, a nurse midwife and public health specialist from Malawi.